Today I have a fun project for the weekend! 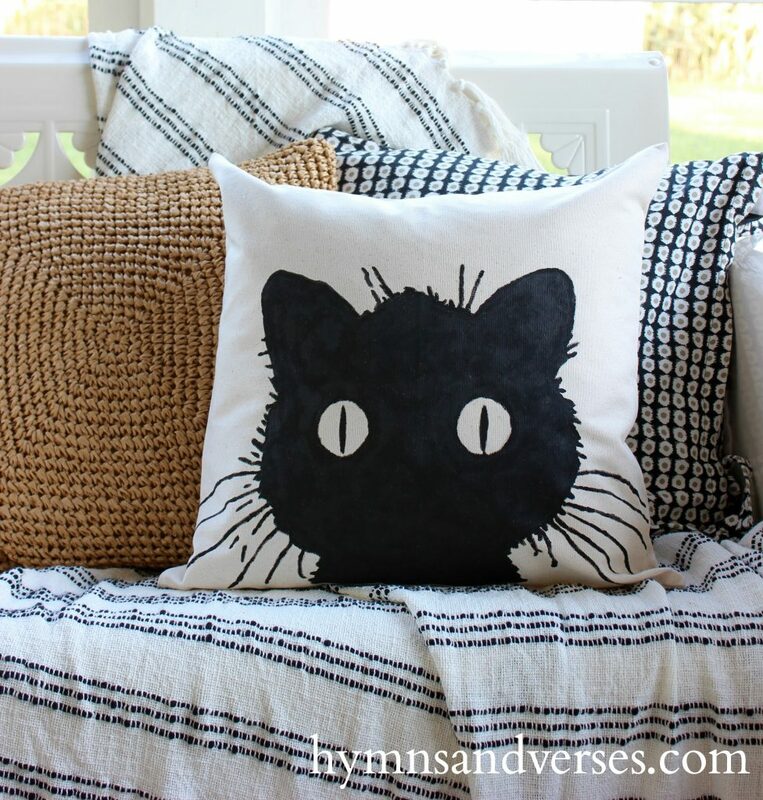 It’s a no sew, black cat pillow cover. 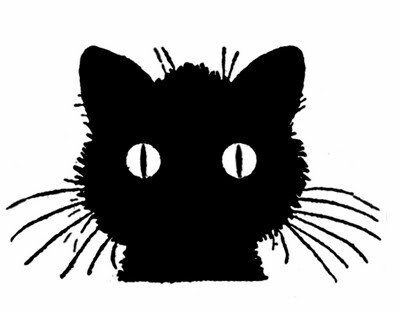 This vintage image of a black cat from Karen at The Graphic Fairy was my inspiration. I think this cat looks more like a “Scaredy Cat” than a cat to make you scared! But, I’m a crazy cat lady! We have our own little black cat, a stray who lives under or porch. She’s been here for years and is pretty much a scaredy cat. Her name is Jet. We made sure she doesn’t have babies and was given her vaccinations. She has a safe place to be with food and water and seems happy. But, I digress. Let’s make this fun pillow! First, what makes this “no sew” is buying a ready-made pillow cover. 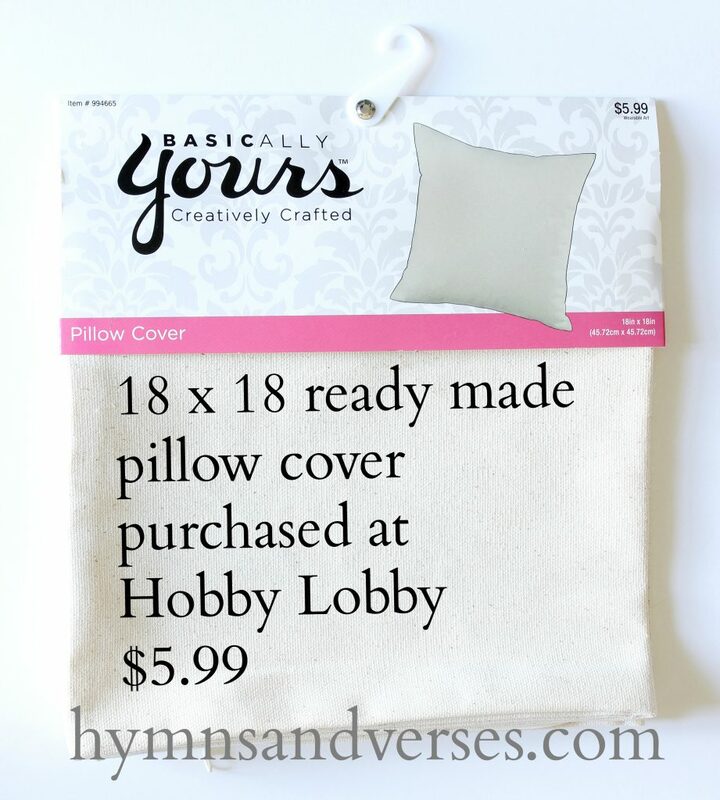 I got this one from Hobby Lobby for $5.99 – 40% off with my coupon. It’s a nice weight canvas fabric. The only other thing you will need is some black craft paint and a paint brush. Enlarge the image. I used my Silhouette Cameo software to enlarge the cat image, trace and cut the outline. If I didn’t have access to this tool, I would have taken a copy of the file on a thumb drive to a copy center, like Staples, and have them enlarge the image to fit the size of the pillow cover. 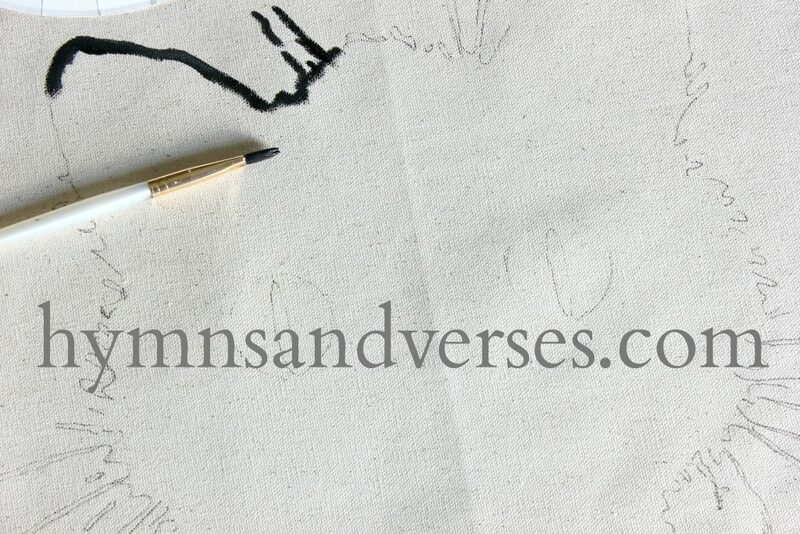 My pillow cover is 18″ x 18″, so enlarging the image to fill an 11″ x 17″ piece of paper would be just about perfect. If possible, I would have the image copied onto card stock. 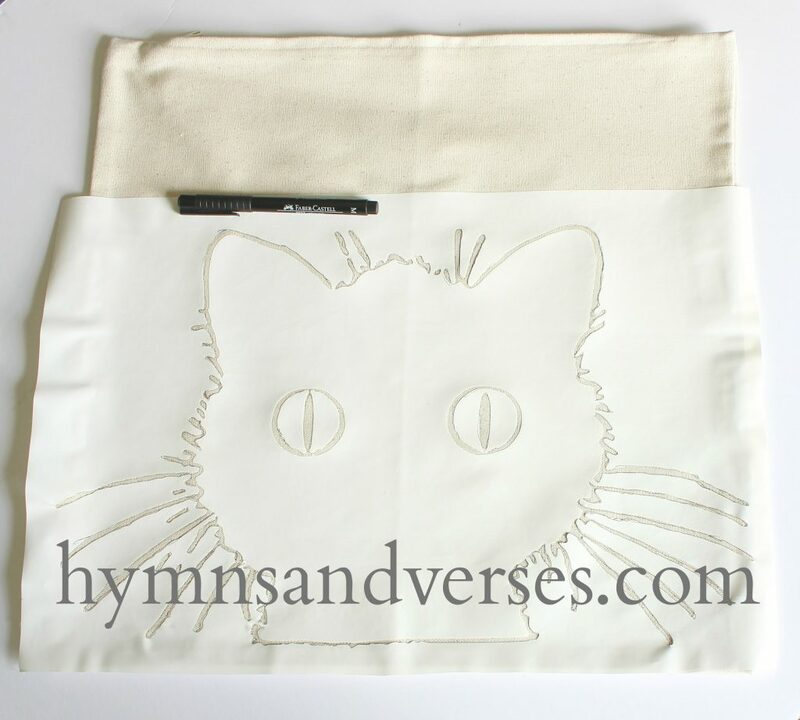 Once you have the image the size needed, you will need to cut out around the edges so you can trace the outline of the cat onto the pillow cover. 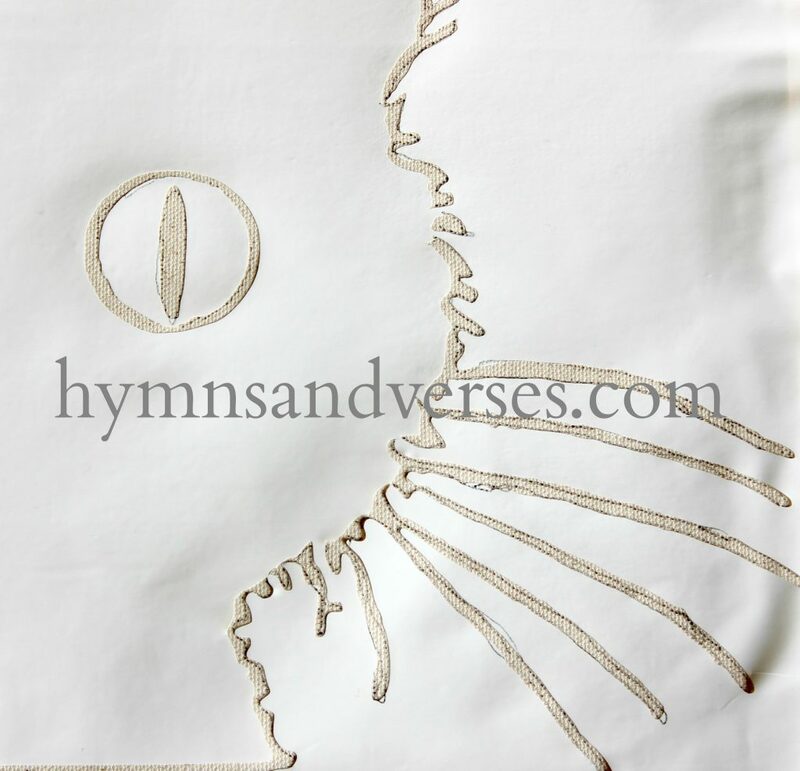 I had my Silhouette Cameo cut out the outline of the cat on Contact paper. I pealed the backing off the Contact paper and applied it to the pillow cover. Trace along the edge of the cat outline and whiskers. Don’t forget the eyes. Just cut out the entire eye and then cut the slit part to trace around that. Put some of your black paint on a paper plate and begin to use your paint brush to paint along the traced edge of the cat. Once you’ve painted the edges, just fill in with paint. Take your time and enjoy the process. Once the paint is dry, put your pillow cover in the dryer on high heat for 10 minutes to heat set the paint. You could also use an iron on the unpainted side of the pillow to heat set the image. 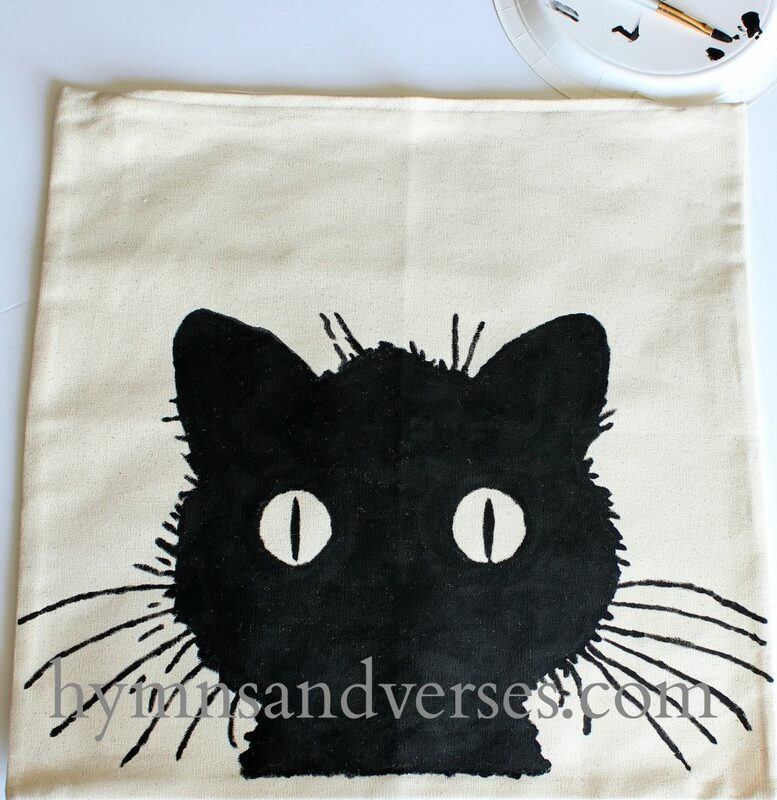 That’s it, a really sweet, black cat pillow cover. I have mine or the porch, but I could really use this anywhere in my home. I hope you’ll give this project a try! 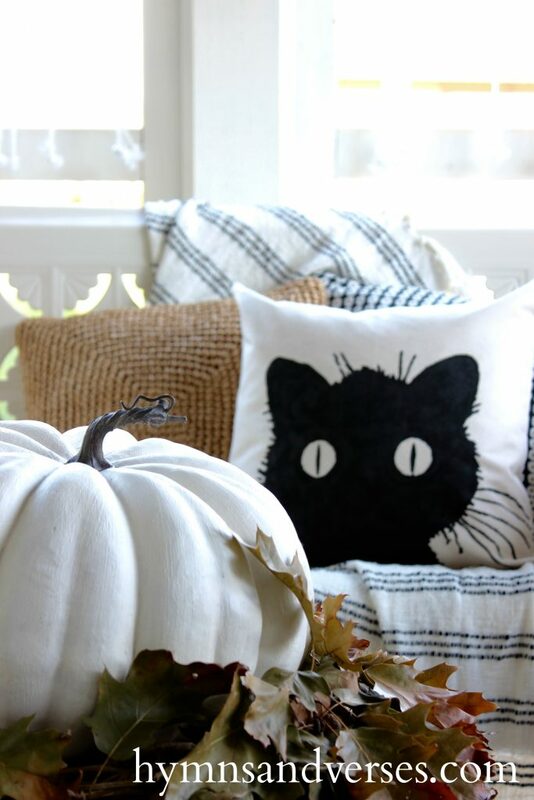 You may also like these Fall projects! Next week is going to be jam packed full of DIY and decor goodness. Until then, have a great weekend! Thanks so much, Cindy! Have a great weekend! 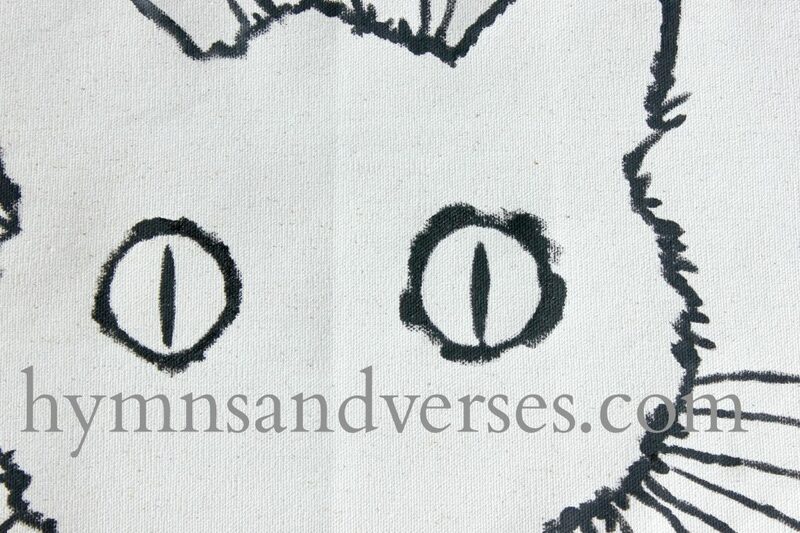 Since I own a cat, I think I will make this pillow. Thank you so much for sharing. Have a lovely weekend. My sister is going to LOVE this!! LOVE IT! I am a cat lover as well!!!! This is adorable! Thanks for the tip about the pillow cover, too! I’ve often thought about these pillow covers as a blank slate!! This cat is too cute!!! I do not have a cameo but your idea to enlarge sounds like a great solution. Thank you! I’m in love with the cat pillow! Great tutorial!